Guest Post: 5 Lovely and Simple Hair Styles to Look Beautiful this Fall - Cherry Colors - Cosmetics Heaven! 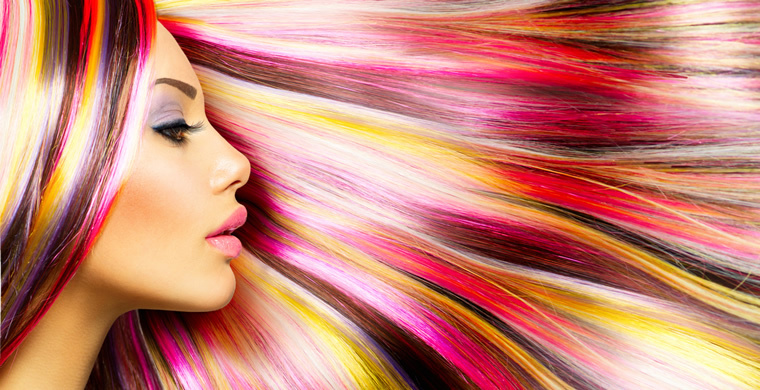 The wonderful colors of fall can serve as inspiration for unique hair colors. But did you stop for a moment and consider potential hairstyles for this fall season? In an effort to come to your rescue, we have gathered five of the loveliest and simple-to-perform hairdos that are definitely worth trying. Do not hesitate to go through all of them and see which one fits you the best. As soon as you will parade around with your new hairstyles, everyone will be envious, of how beautiful and elegant you really look. You might not have expected for bangs to be in style all over again, but, this fall, they are really popular. From the 1960s to the present, bangs represent the perfect choice for this coming autumn. They are especially recommended to you, ladies, interested in creating a beautiful structure at the level of the face. Messy bangs look fantastic, especially when you are going for wild colors, matching the ones in the fall. You can keep the rest of the hair in a tight bun, enjoying the beautiful contrast it creates. Or, if you want, you can stick with a tight knot, creating an air of mystery and elegance about yourself. The bun is indeed one of the most popular bun hairstyles of all times. However, this fall, the big bun is in style. Promoted by stars like Alicia Keys, the big bun is easy to organize and it allows you to look stylish within minutes. For example, you can have your hair braided and then turn it into a gorgeous-looking bun. If you want to impress with your natural appearance, you can leave a few strands out of the bun. For the best results, apply some hairspray to your bun, as this will ensure you will look fantastic all day long. You can leave a part of your hair outside your bun, twisting it in the front, for a more unique look. The Bob is an ever popular hair style, being adorned by numerous Hollywood celebrities and other famous women in the world. However, it seems that the classic bob is making a comeback this fall season. The disheveled bob of the past year is no longer in style, so ladies, pay attention to the kind of Bob you are going for. Take the example of Kylie Jenner and go with the one that has a clearly defined structure. In this way, all of your friends will be jealous of your new coif, trying to copy your own style. If the classic bob does not suit your fancy, you can always go for the beveled bob, drawing your inspiration from the ever-trendy Taylor Swift. Autumn is a season filled with the most beautiful colors, including Auburn, pumpkin, and yellow. If you really want to be stylish, you can opt for a medium-length haircut and get some hair strands colored. For example, you can go with pumpkin spice color which seems to fit this season quite well. This color is perfect to match with brunette or auburn hairstyles, bringing your best features into the spotlight. Everyone will provide compliments, upon seeing you having taken your inspiration directly from autumn. Keep in mind that this hairstyle is especially recommended for those who have either square or oval-shaped faces. The classic ponytail is one of the most popular hairstyles this fall, allowing you to obtain a “good girl” image. 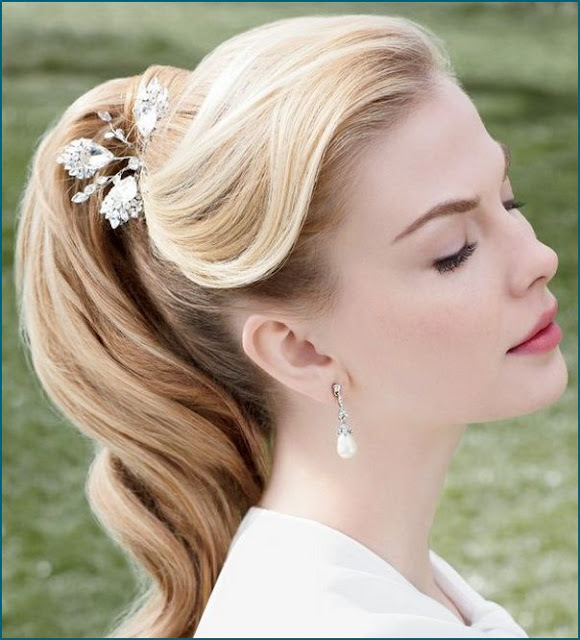 The interesting element is given by the center parted hair, as this will help you look even more amazing. The ponytail will give that relaxed attitude you have always wanted to obtain, being easily matched to natural makeup. For a little bit more spice, you can curl your hair and enjoy the beautiful-looking waves that make up your ponytail. You can also use mousse to add volume to your ponytail, depending on the event you are planning on attending while adorning this hairstyle. Keep in mind that the high ponytail is also a popular choice this year, so, when you get tired of the classic version, know that you have other options. These are some of the most popular hair styles of this season. As you have seen, they are both straightforward and lovely, helping you stay in touch with the best trendy hairstyles. Keep in mind that each hair style suits a person differently, so pay attention to your own face structure before making any changes. Some hairstyles are more complex than others, so you might also want to think about how much time you have available to style your hair. As for the colors, do not hesitate to draw your inspiration from autumn, as there are so many lovely nuances to choose from. Meighan Sembrano is an enthusiast and passionate writer. She is a contributor to Consumer Health Digest. She is expertise in Beauty and skin care articles. Also, have contributed in the health and fitness field. Her work gives an enthusiast twist to the readers. She resonates the readers with her simple and thoughtful words. You can follow Meighan on Twitter and Facebook. Images source: found via Google.